We have developed this unique lure to give anglers the maximum vibration available in a spinnerbait! 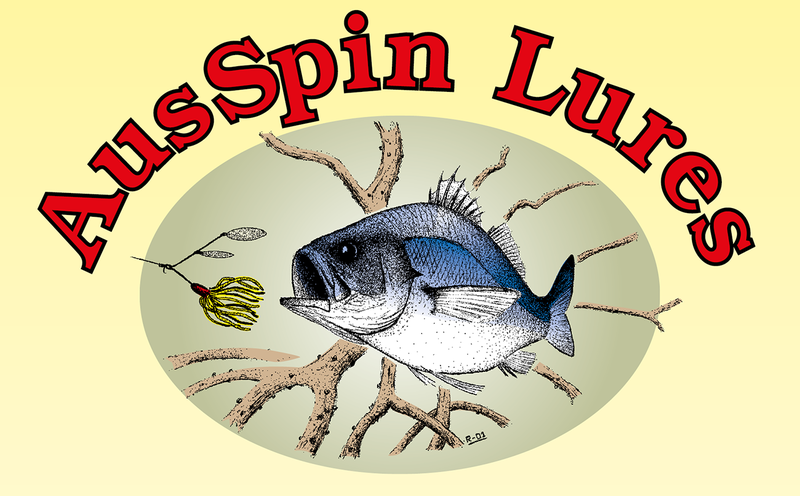 The QuadSpin spinnerbait is simply a further refinement to our popular TwinSpin lure. We have developed this unique lure to give anglers the maximum vibration available in a spinnerbait. The V-wire attached to the main arm features four Colorado blades of two sizes. The inner blades are smaller and attached via free swinging clevis’s while the outer blades are larger and spin off quality swivels. 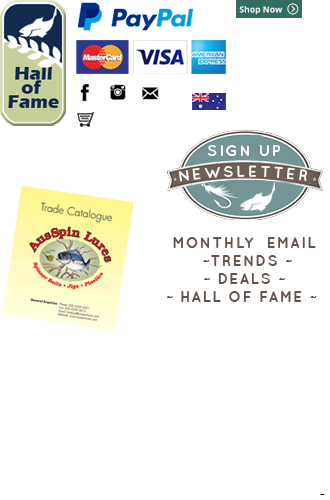 The QuadSpin is worked slower than both the TwinSpin and traditional spinnerbaits and rides somewhat higher in the water column. 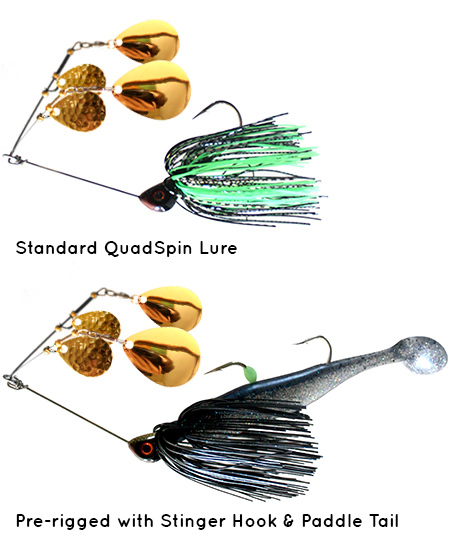 No other lure can be ‘helicoptered’ as well as the QuadSpin. Featuring a closed eye wire connection for use with snap clips or direct tying (no line slipping down arm).